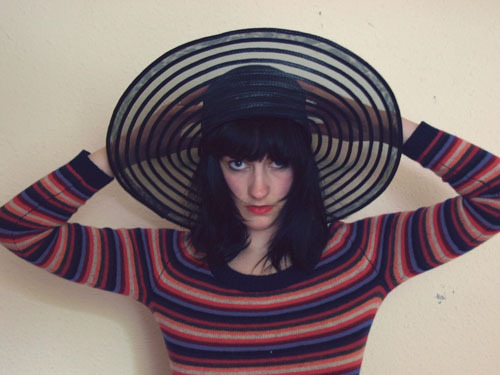 Laura Sheeran, one half of electronic band Nanu Nanu. THE SECOND Communion: Galway night, featuring new and emerging talent, takes place in the Róisín Dubh tomorrow from 8.30pm. The line-up for the event will be Nanu Nanu, Hipneck Blues Collective, and Cogar. Nanu Nanu are an electronic band based in Dublin, featuring Galwaywoman Laura Sheeran and Marc Aubele. They use analogue and modular synthesisers, electronic beats, live drums, and live vocal processing. There will also be visuals from artist Jane Cassidy. HotPress’ Celina Murphy has praised their “particularly flashy brand of avant garde electronica” and “beautifully freakish sounds”. The Hip-Neck Blues Collective is a six piece band that plays blues and folk tinged with hip-hop. They have shared stages with Scroobius Pip and B Dolan. The band were also featured on Today FM’s KC Sessions as part of Irish Hip-Hop Week. Their debut EP Millie is out now. Cogar is local Galway singer-songwriter Sinéad Ní Choncubhair who released an EP last year. Advance tickets are available from roisindubh.net for €6 while admission will be €8 on the door.